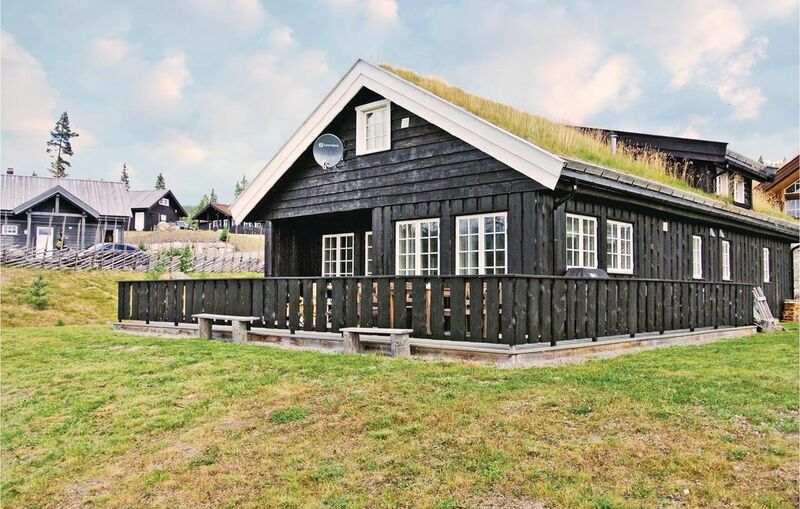 Beautiful, spacious cabin in Hemsedal. The cabin is placed in a cabin area with an open area in front. The cabin has fast broadband-TV with 15 channels, of this 4 german and 2 danish channels. In the area around the cabin it is great opportunities for hiking, biking and climbing. If you like to go fishing, you can try the great fishing river Hemsil only one kilometer away. Also try Eikredammen. Swimming in the river and Tropicana at Pers Hotell in Gol. One play right for the golf court is included, and the cabin is 200 m from hole 7. In the winter, it is miles of prepared ski trails around Golf Alpin and in on the trails by Gravset, Golsfjellet and the rest of Hemsedal. One mile to Gravset skistadion with light trails (3, 5, 8 km) and miles of prepared mountain trails. App. 15 kilometre to Hemsedal Skicenter. Sledding hill close to the golf court. Car road to the cabin. The road is prepared the whole winter. Dogs must walk in leash from 1.4.-21.8.